Two of the world’s best known automotive manufacturers continue push into fuel cell vehicle technologies, even though sales just a fraction of EVs. Two of the world’s best known automotive manufacturers – Hyundai and Audi – announced this week that they have entered into an agreement that will allow them to cross-patent fuel cell technology for electric vehicles. Fuel cell electric vehicles (FCEVs) differ from standard battery electric vehicles in that the energy is instead stored as hydrogen gas in a tank, which then produces electricity when oxygen (from the air) is introduced into the mix. 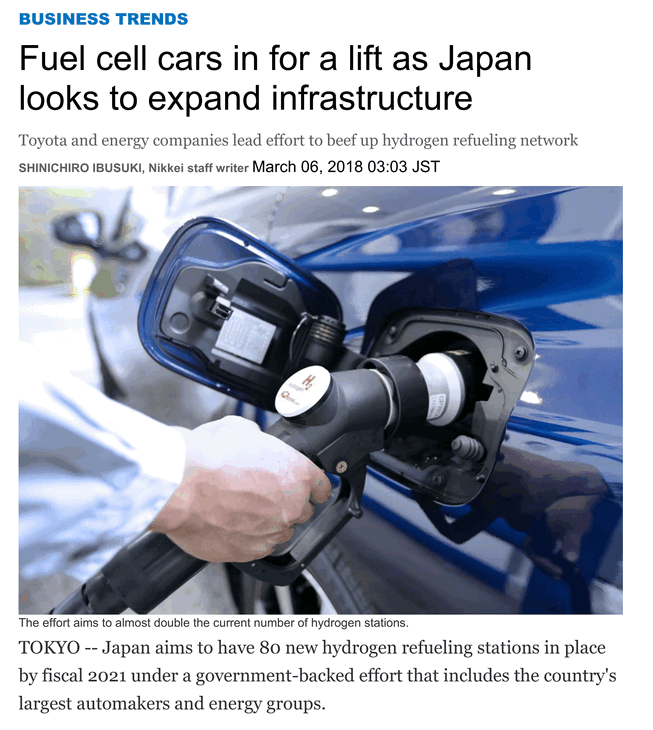 They are said by proponent to have an advantage over BEVs as refuelling only takes a few minutes to pump hydrogen gas into the tank, but analysts say that they are limited by the need for more expensive infrastructure, and the costs of the technology itself. Hydrogen fuel cell vehicles form only a tiny fraction of electric vehicles sales. And Hyundai and Audi’s announcement came just days after Daimler and Ford ended a similar joint venture. Hyundai and Audi say that by sharing in the development of fuel cell technology, they will be able to leverage R&D capabilities, increasing their joint potential to further lead the way in sustainable transport. Hyundai already have a big presence in the albeit very small FCEV market as the world’s largest maker of fuel cell SUVs which have been part of their stable since 2013. In Australia, Hyundai revealed their latest offering last August, the ix35 FCEV. Although offered only as a left hand drive vehicle, it was trialled in Australia as part of the company’s cold weather testing. The Korean carmaker has also said their flagship FCEV model, the Nexo, will reach the Australian shores late this year. Audi, who are in charge of fuel cell production for the Volkswagen group, say they will benefit from the agreement by accessing Hyundai’s FCEV parts supply chain. “The fuel cell is the most systematic form of electric driving and thus a potent asset in our technology portfolio for the emission-free premium mobility of the future,” says Peter Mertens, Board Member for Technical Development at AUDI AG. Hyundai’s subsidiary Kia as well as the entire VW group will also benefit from the partnership, which will allow both companies and their affiliates to equally share the patent licences for an as yet undisclosed multi-year period. Euisun Chung, Vice Chairman at Hyundai Motor Company, says the agreement underlines Hyundai’s future as a leader in zero-emission vehicles. “This agreement is another example of Hyundai’s strong commitment to creating a more sustainable future whilst enhancing consumers’ lives with hydrogen-powered vehicles, the fastest way to a truly zero-emission world,” he says. The partnership may not be limited to patent sharing either, with both companies agreeing to further discuss possibilities for further collaboration. However, analysts such as Ali Izadi , the head of intelligent mobility at Bloomberg New Energy Finance, say that FCEV will struggle to compete against electric vehicles, particularly for passenger vehicles. Izadi said only 6,746 FCEVs had been sold to date, compared to more than 3 million EVs, even though the roll-out of competing technologies occurred around the same time. He says that Daimler and Ford had cancelled a fuel cell j-v, and Nissan Renault has also pulled out. It may work well for heavy vehicles, but even that market faces strong competition from new electric buses and trucks. 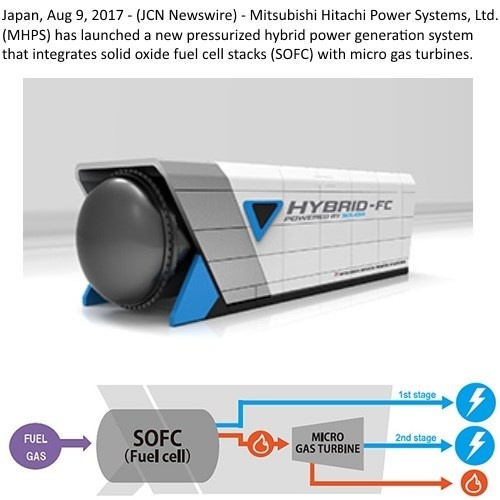 Hydrogen proponent say the crossover point from EVs to fuel cell vehicles is 55kWh battery (beyond which fuel cells would have an economic advantage. But Izadi says the crossover was more likely to be 70-80kWh batteries, which means more expensive and luxury models. “And that’s just for the vehicle, not the infrastructure,” he said. It’s a shame to see two companies with so much potential in their EVs flushing money down the toilet like this. It is a bet on survival in the market; called differentiation. Imagine how many companies would go out of business if we were to buy one toothpaste. In other words: you have flat-earthers, climate deniers, climate believers, all being tribes of believers who need to be catered for. Sugar is bad, fast food is bad, yet it is readily available and consumed. This comes as various other parts of the VW Group (VW, Porsche) invest heavily in electric tech. Porsche bought a stake in Rimac just a few days ago in order to license their technology, and VW are being pushed towards a highly electric lineup thanks to the Obama-era EPA. Refueling stations at huge pressure what could go wrong? The cost of same is hideous. Transport of this combustible fuel at high pressure another problem. Just go BEV and leave this idea behind, no doubt there is going to be some market for H2, but not as I see it in vehicles, I may be wrong. I have the potential to charge my EV from solar panels on my roof. I may buy an FCEV when a cheap, reliable and safe hydrogen generator is available that runs off soIar power and that I can setup in my garage. Down with monopolies! A hydrogen compressor in your garage. You’d better hope it’s well maintained! For heavy industry Hydrogen has potential, for passenger vehicles it’s a costly and pointless exercise. OK, if they really want to, but don’t expect consumers with any sense to be queuing up. Forget RaAaAange anxiety. These piston heads now seem to be fixated on 3 minute refuelling, completely ignoring very convenient EV fuelling that occurs while working, sleeping or when the sun’s shining. It could also be that they are simply protecting their patch by producing complex systems that keep the hapless motorist trapped in the dealer service network. Not dissimilar to a combined cycle gas turbine! CCGTs are approximaytely 60% efficient. A bit of searching reveals that the above was achieving about 55% total thermal efficiency, running from natural gas at about 250kW output. It uses a SOFC so it can be run directly from natural gas without getting poisoned, as would be the case with a PEM fuel cell, typically used in motor vehicles. The diagram is a bit misleading, as the actual purpose of the micro gas turbine is to pressurise the fuel cell stack. This may also go a ways to explain why the efficiency is lower than the 85% that could be expected in an optimal CHP SOFC system. 250kw is a lot smaller than a CCGT typically is (50-150MW), so it may have a place in community power. At this power it overlaps a diesel that can also run largely from natural gas and is a lot simpler, although not quite as efficient. 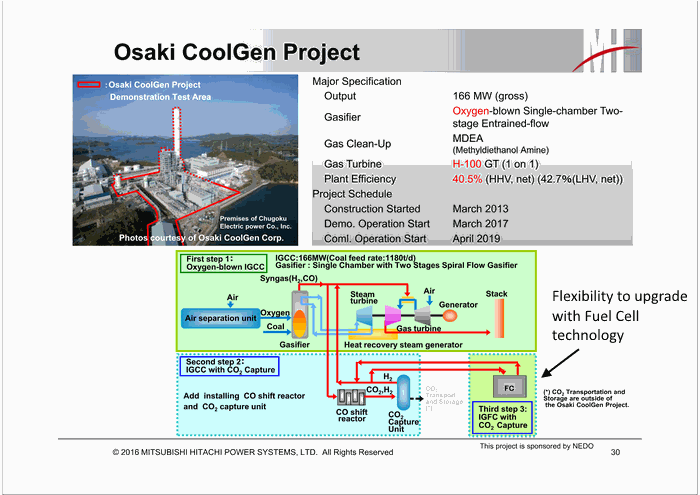 Japan also is aiming at switching CCGT power stations to hydrogen fuel. This is on the road to the Japanese Govt’s plan to eliminate all imports of fossil fuels by around 2040. I find this is an interesting area – waiting to see where it goes. Hydrogen solves the range problem pretty well. Better hydrolysers are being developed – potential meaning all you need is electricity and water to have a charging station. I certainly see them as likely for trucks, buses etc. Interestingly my understanding is that in vehicles a fuel cell charges up a battery that then runs the motor. So cost is going to be higher. But charging is much faster and range greater. Hi All, For Trucks, Tractors and Buses I am confident that these will proceed. When I comes to cars and light vehicles these may follow the way of the mobile phone, they are light, bigger capacity (both memory and chip size) and cheaper in costs. I think that somewhere they will be manufactured and exported to the world. They will not be common in large city centres BEV will dominate that area, however they will be common in semi remote areas and remote areas. fast DC chargers to permit road trips to be conveniently made. need much more source energy. estimates of 73% to 22%. (3.2 to 1) Other estimates I have seen pit the difference nearer to 2.5 to 1, still very bad . Several commentators condider that Energy return on investmant (EROI) is a determinant of the fitness of society and that a EROI of less than aboout 7 or 10 will be unable to sustain our society, meaning that it will be forced to simplify. (i.e. crash). Some things are phenmoenally bad, such as corn ethanol, which has an EROI of less than 1 by some estimates and only lightly above 1 by the best. Wind turbines are about 20 and solar is making gains on this, but still significantly less. The point here is that deliberately using a technology (FCEV) that loses 2/3 of the energy has the effect of corresponingly reducing EROI of the renewable sources and driving down society’s overall EROI. Far from being a saviour, FCEVs may actually kill society, as we know it. We will have enough problems without having to build significanyl more wind turbines than we actually need.